Actors with 25+ Hits & 50+ Success Movies in 100 Plus Years Of Hindi Cinema. NOTE -> Bollywood Actor ASHOK KUMAR Has Also 25+ Hits & 50+ Success But He Was in Supporting Roles in Some Movies. Amitabh ji and Dharm hi are legends two biggest megastars of Bollywood,Salman will join the list of actors having 25 + hits and 50+ successful films ,srk also have a chance if he did right films and if Akshay continue his good run for next 3-4 years he will end up with 35+ hits and 65+ successful films . only four stars rest struggle kar rahe hai rest star ko time lagega per touch nahi kar payege, ab to ek aur list banega 50 hits and 80 success aur es list main sirf real megastar aayenge amitabh and dharam. post karte jao forum per rest jise halla karna hai karne do vivek , jab kuch nahi hota hai wo yahi karta hai . aaj ke star per to hemaji hi kaafi hai. This Is A Terrific Record, Having 25 Hits And 50 Success Is A Huge Achievement Which These 5 Actors Have, Salman Can Also Achieve This, May Be Even Shahrukh. Dilip Kumar Achieved It In Least Number Of Movies Having Just 10 Outright Flops Besides Being Best In Terms Of Major Box Office Records- 4 Atbb, 4 Atg, 9 Biggest Hit Of Year, 2 Biggest Hit Of Decade, 2nd Biggest Hit Of Century And All Time, 1 All Circuit Record Breaker, 4 Movies Of 5 Cr Footfalls, 6 Movies Of 4 Cr Footfalls, Around 10 Films Of 3 Cr Footfalls, 1 Movie Of 10 Cr Footfalls. Im Sure His Bumper And Record Openers Count Will Also Be Very Good. He Also Has 50% Hit And 80% Success Ratio Even As Per Strict Old BOI Verdict System Doing 55 Odd Films! Ashok Kumar is a legend and one of the finest actors of all time. Salman Has 30 Hits And 40 Success. With 20 Big Hits and 15 Blockbuster With 1 All Time Top 4 Blockbuster Ever. Look at Ugly Bachhan and Handsome Dharmendra. Dont know how he became A huge star..Its mainly salim javed who saved his failed acting carrer in 1973. I don't know what happen to media,, magazine,,BOI,,Google They are Big Fan of Amitabh ..
Magazine say That Amitabh most popular star from 1990-97 I don't know why isn't Salman was bigger star in 90s ??? ""star of the Millennium"" if you write this on Google then Only Amitabh names will come & This Google say that SALMAN is A Worst Actor Of Bollywood ..
BOI say Amitabh is Biggest Star ever but how ?? Media humesa se SADI KA MAHANAYAK Amitabh ko bolti hai prr salman is More bigger than Ugly AMITABH...air agar amitabh sadi ka mahanayak hai to SALMAN BHAI brahmand ke mahanayak hai..that's it. Sadi ka nalayak bhi tha Bacchan till Salim javed Saved his carreer. Warna abhisek bachhan se bhi buri haalat thi Lol. 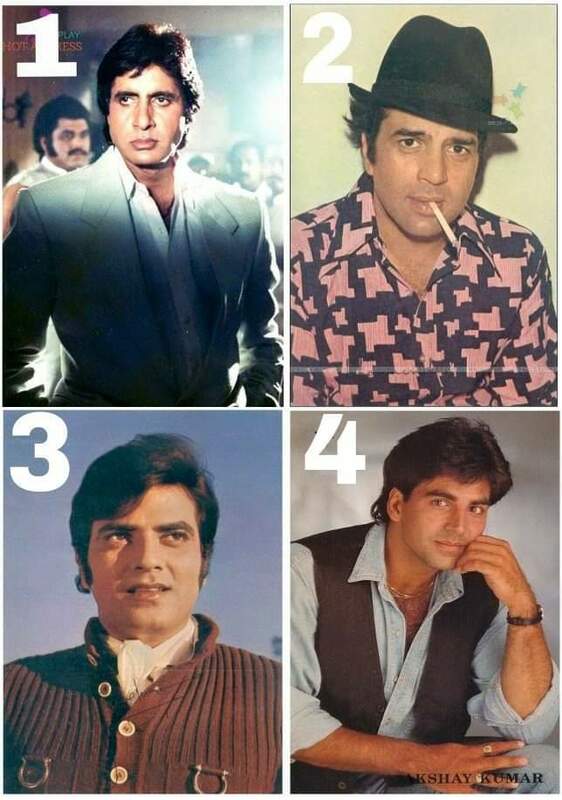 ye salim kaun hai jisko koe nahi jaanta, amitabh ki filmo se jaana gaya. Akshay Kumar Now Has Most Hits (29) & Most Success (51) By Any Actors Since 1990s Decade.